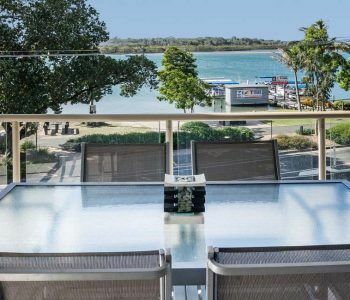 Noosaville holiday rentals don’t come more attractive than this. Here at Offshore Noosa our riverfront apartments are the envy of Noosa. Nestled in the secluded end of Gympie Terrace our three level low rise apartment resort offers the discerning traveller an easy yet sophisticated accommodation experience in Noosa. Atop of the secure underground parking, our fully self contained one, two and three bedroom holiday apartments offer options to suit all sized groups and families. 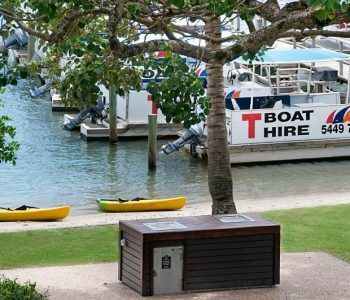 Whether you are planning a romantic escape in one of the more secluded parts of Noosaville, or you would like some peace and quiet in what can be a popular and busy holiday destination then Offshore Noosa is your match. The spacious and airy interiors will have you at ease from the moment you walk through the door, and the river views (if requested) provide a tranquil and beautiful vista. Whether you intend to have a relaxed and laid back time just chilling out with a book and lots of sunscreen out in the tropical garden courtyard beside the gorgeous lagoon-style pool, or plan a more active holiday seeking adventure on the Noosa River, or on the waves of Laguna Bay, this is just one of the reasons why Noosa is such a popular holiday destination. Jet skiing, stand up paddle boarding, power boating, cruising and kayaking are all part of the fun you can enjoy. Don’t forget, you’re right on Gympie Terrace, the home of world beating and award winning restaurants and cafes. Just transport yourself a few doors down the road and you’re in serious food country. With over seventy restaurants in Noosaville your taste buds will not get bored. The reliable classics such as Sirroco Noosa, La Riviera, and the Noosa Boathouse are some of our favourite recommendations, but we don’t like to make too many suggestions, because where is the fun in that, especially when there are so many good ones there. 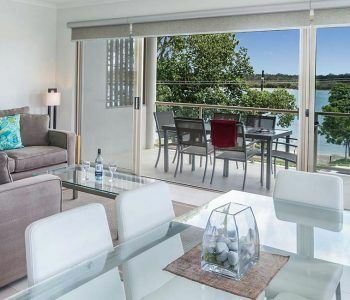 Our Noosaville holiday rentals will delight and please you. Our descriptions can only get you as far as the front door. Book now to experience the full-flavour of Offshore Noosa.